Last Sunday the largest audience in the games history watched the Super Bowl. At the risk of sounding un-American I must admit I missed most of it. I had tickets to see an old friend in a play so I missed the second half. What I did observe though was a continuing push from the advertising world to get to our wallets through our hearts. And I really, really like that. In so many ways the world seems to grow darker, more dangerous and cynical by the day. The hateful acts of cruelty and terrorism remain lead story in newscasts and print. There has never been a time in our lives when the principles of kindness, love and service and caring for each other has been more important. To remain committed to a path of gratitude and trust can be challenging in the midst of such drama. While the big screen seems to reap it’s greatest rewards and box office bonanza when the computer graphics illustrate Apocalypse, the horrors of war, end times and hell on earth in 3D … the small screen dances to a different tune come Super Bowl Sunday. It’s a good sign I think. Give it a little thought and you may take comfort as I do in the recurring schmaltz and Hallmark card mentality of what I call the sixty second heart attack. The one minute battle for our bucks. It began in earnest I think in the sixties and seventies. 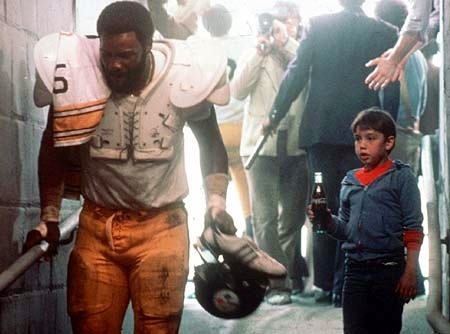 Remember the Mean Joe Green Coke commercial? The sweet kid who offers his drink to Joe and gets a smile and a football jersey in return? In its 2015 incarnation, we see a coke accidentally spilled on a bank of servers at Internet headquarters and the result is a tsunami of kindness and love where there had been hateful texts moments before. It’s a brand new world. The message remains the same. Be good. Be sweet. If you drink Coca Cola it’ll come naturally. I wish that it were true. Instant caring. The real thing. Budweiser has the patent on using animals to tame the savage breast. For decades they’ve moved Dads to tears they try to hide. Am I the only one who finds it amusing that in the midst of combat, twenty first century gladiators pounding each other into early dementia with bone crunching, life threatening collisions … the quickest way to sell beer is with a puppy racing to his masters arms while four proud Clydesdales guard from the rear? Here’s my point. Nothing you see presented in a commercial spot that cost millions to make and display occurs without serious marketing research. And it would appear that across the board there’s evidence of healthy hearts still beating beneath our desensitized chests and cynical presence. We’re human after all. And while the heart has always been a symbol of the birthplace of love, not to mention clogged arteries from unhealthy fast food, it’s our ability to act in one another’s best interests that prove its existence. That love is real. I’m grateful that the masters of advertising are optimistic about our capacity to empathize. And while financial gains are the motivating factor in their collective efforts, if McDonalds offered a vegetarian ‘Happy meal’ I’d be more inclined to buy one based on the humanity they and the other big brands display in their sales pitches. Tracey talks about grabbing at ‘gratitude straws’. There are days when life weighs heavily on us and taking a moment to find something good, even in places as remote as advertising trends … may increase our buoyancy and keep us from sinking into the depths of depression. Market research and actuaries may offer a glimmer of hope that’s been spotted from the towers of big business. Affirms that there is something within our being that is not yet immune to the quality of mercy. It is perhaps a bit of light we can magnify with the gifts of clear vision, a quiet mind and the life affirming habit of always seeking a goal of gratitude and trust. 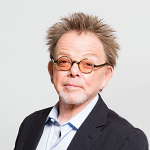 Paul Williams is a singer, songwriter, actor, recovery advocate and has been a fixture on the American cultural scene since the seventies. 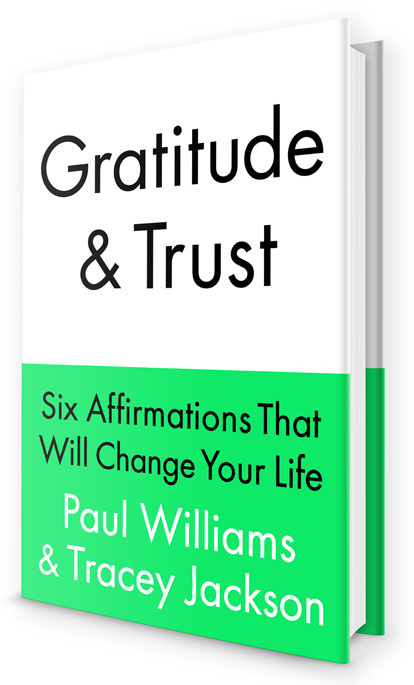 His book Gratitude and Trust is now available.